The RIBA has announced the three shortlisted architects charged with designing the “animal welfare centre of the future”. The shortlist is Nicholas Hare Architects; Gabbitas Gill Partnership’s collaboration with Hull-headquartered Fresh Design International and London-based Alma-Nac. 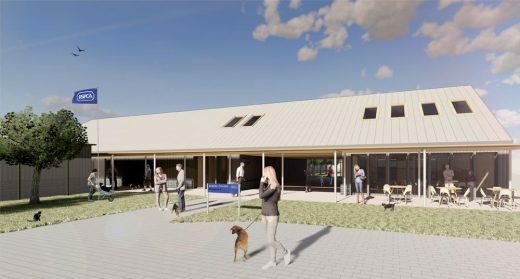 The competition hoped to attract architect-led teams from across the UK whose skills in collaborative working and innovative thinking can inspire the next generation of animal centres. 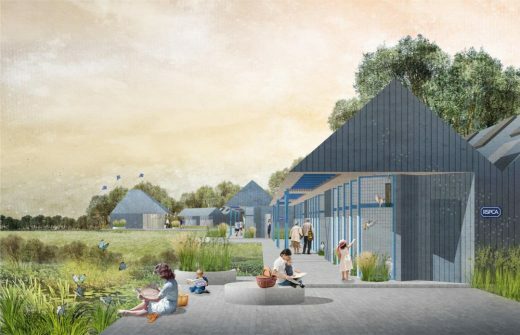 Architects were challenged to create a design for the charity’s centres of the future, which will put animal welfare at its heart, as well as being sustainable and inspiring for staff and visitors. Three architecture practices have been selected by the panel to create the blueprint for the animal centres of the future. The panel included Chris Wainwright, Director of Communications & External Relations – Deputy Chief Executive RSPCA and Sasha Bhavan, Director KnoxBhavan Architects, acting as the RIBA Adviser. The RSPCA, which with RIBA jointly chose the three practices, said it wanted the centres to provide the best possible environment to care for animals who have had the worst start in life. 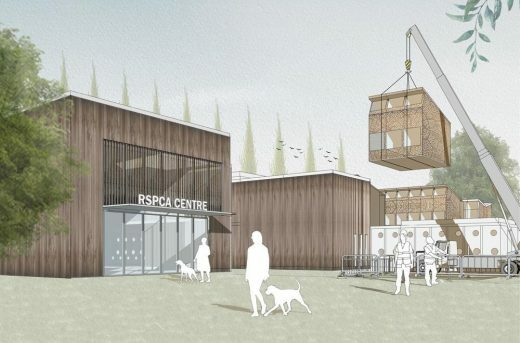 The RSPCA said any building should have animal welfare “at its heart” and that it wanted to encourage the use of modular construction techniques in the resulting centres, moving away from more traditional building methods. Other criteria included accessibility for users and staff, use of sustainable building materials and all animal accommodation built in accordance with the Animal Welfare Act 2006 and the RSPCA’s licensing conditions. The proposed design will be adopted at a new centre which is planned in the North of England as well as being adopted for future site builds and, in the upgrade, and refurbishment of their existing centres, the blueprint for the future. The Society was founded in 1824 as the SPCA and in 1837 and Queen Victoria gave permission to add the royal R in 1840, creating the RSPCA as they’re known worldwide today. Every day, with the help of RSPCA staff, volunteers and generous supporters, they take steps to achieve their mission.